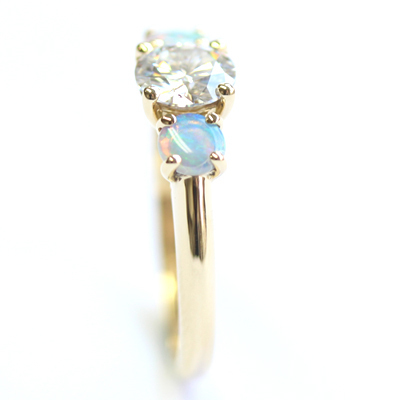 18ct Yellow Gold Moissanite and Opal Trilogy Engagement Ring — Form Bespoke Jewellers Ltd.
A bespoke, yellow gold, trilogy engagement ring with moissanite and opals. 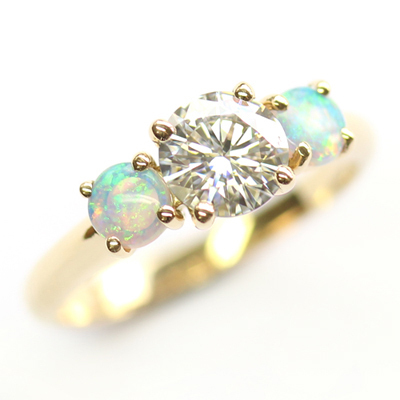 The colour play within this engagement ring is beautiful. 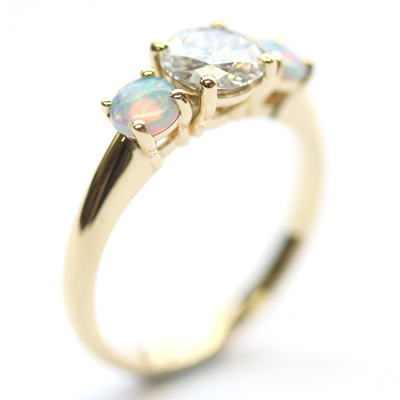 An 18ct yellow gold band and setting provides a warm backdrop to the piece. 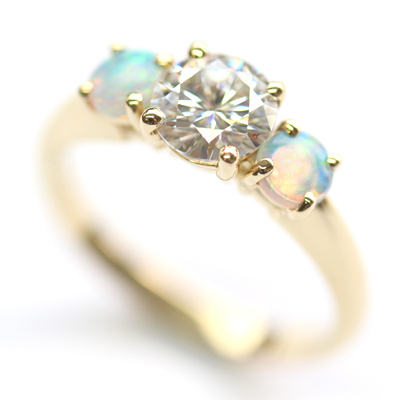 Then, at the heart of the ring is a trilogy of stunning round stones. 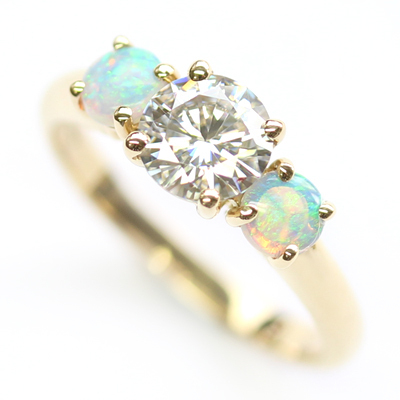 At the centre is a round brilliant cut white moissanite, which is flanked by two colourful opals. The opals have a strong turquoise, pink and yellow contrasting tone creating a beautiful sparkle. 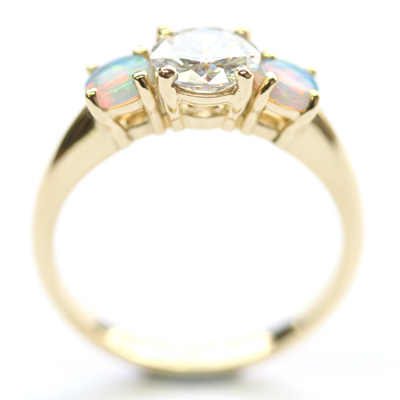 The result is a contemporary twist on the classic yellow gold trilogy engagement ring. And we love it!